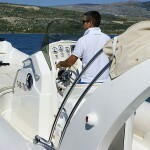 Nouva Jolly Prince 25 is big, spacious and comfortable: a real flagship! Everything is functional, thought and built with precise goals. 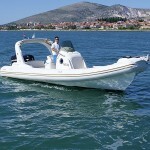 This RIB is fast, safe and soft on the waves because of the very deep and long “V” hull. 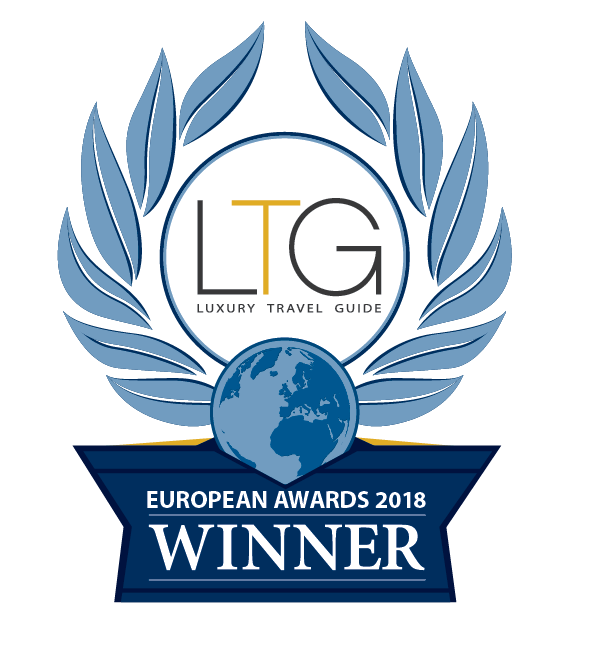 She is also fantastic when you ask for the entire maximum possible place to enjoy the sun and the sea. Everything has been planned and built for maximum comfort. The sun-pad forward is truly large and the dinette astern makes it possible to enjoy a meal seated round the table. She has the spaciousness typical for open crafts and at the same time has the added feature of a changing-room/cabin and bathroom. Prince 25 design incorporates qualities of exceptional safety, strength, stability, speed and comfort. 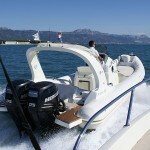 She is equipped with 2 fascinating Mercury Verado 175HP engines. These Four Strokes provide astounding holeshots and punchy mid-range acceleration, all with outstanding fuel economy. 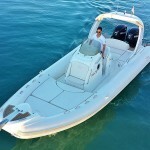 If you want to get on your destination quickly and in style, this is the right boat. 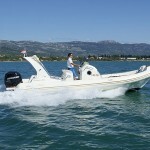 Length 7,80 m-Width 3,10 m-Engine2 x Mercury Verado 175HP, turbocharged fourstroke-Max. 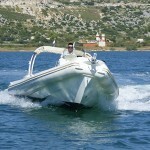 Speed 48 MPH-Fuel Tank 300 l-Fresh water tank 80 l-Persons max.12-No.of Cabins/Berths 1 / WC-Air chambers 6-Year built 2011.